SKU: 6KT0030111. Part Number: 6KT0030111. contents01: 6KT0030111. MPN: 6KT0030111. Part Number 6KT0030111. Known Model Dynex. Do not match by TV Model. There are possibly several different boards for each model TV. Known Model Dynex. Type: T-Con Timing Board Unit. Part Type T-Con Timing Board Unit. Do not match by TV Model. There are possibly several different boards for each model TV. This board has been pulled from a working cracked screen TV. Known Models Dynex. Part Type T-Con Timing Board Unit. Do not match by TV Model. There are possibly several different boards for each model TV. This board has been pulled from a working cracked screen TV. PART NUMBER: 6KT00301F0. PART TYPE: MAIN BOARD. The board has been refurbished, it has been simply tested and found to be functioning as per the manufacturers specs. MPN Does not apply. From Dynex DX-L42-10A HD TV. ( The item is in good condition. You will receive what pictured! ). ITEM: Up For Sale Is a 42" Dynex LCD TV DX-L42-10A T-Con Board 55.42T06.C15. 55.42T04.C10, T420HW02 V0, 42T04-C04. Dynex DX-L42-10A. This item is in working condition and was pulled from a working TV with a cracked screen. Numbers Found On Item. Backlight Inverter Board V291-001 / E206453. from Dynex DX-L42-10A HD TV. ( The item is in good condition. You will receive what pictured! ). This board is fully tested and removed from a set with a defective Panel. We do not know your qualifications as such. Item for Sale is one 6KT00301E0 Main Board From Dynex DX-L42-10A LCD TV. Part Number: 6KT00301E0. Part Number Printed on Board: 6KT00301E0. Works great! Pulled off a working TV. 6KT00301E0 Main Board From Dynex DX-L42-10A LCD TV. Condition is Used. Shipped with USPS Priority Mail. This was removed from a fully working TV. Sold as pictured. Does not include any other hardware or cables. Unless otherwise stated, this has been tested for key functionality. We are otherwise not open to the public. Trending at $13.78eBay determines this price through a machine learned model of the product's sale prices within the last 90 days. Dynex DX-L42-10A. 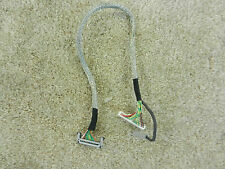 A pair of Flex ribbon cable 69.37T04.013/69.37T04.002 For t-con board T420HW02 V0 42T04-C04 to panel. Fit Panel Fit T-con board T420HW02 V.4. Digital SIGNAGE WMS-42PLUS. 6KT0032010 (6KT0032012). This board has been pulled from a working TV. There are possibly several different versions for each model TV. (PART NUMBER : 6KT00320B0. BOARD NUMBER : 569KT02200. MANUFACTURER : DYNEX. Dynex DX-L42-10A. AND NOT WORTH TO REPLACE PANEL THEREFORE, DON’T WASTE YOUR HARD EARN MONEY TRYING TO FIX THEM ). It was pulled out from a used but working TV. Upon inspection, S/N or special markings verification. 19.42T04.003 (4H V2918.001/D1). Item Backlight Inverter. Known Models and Versions. 6KT00301C0 (569KT0169E). Item MAIN BOARD. This board has been pulled from a working TV. Important Notes Known Models and Versions. There are possibly several different versions for each model TV. PARTS ARE SOLD AS SHOWN IN THE PICTURES. CONNECTORS, WIRES AND SCREWS ARE NOT INCLUDED UNLESS OTHERWISE NOTED. 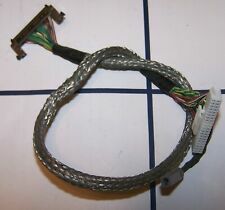 Original 42" AUO Logic T-con board T420HW04 VO CTRL BD 42T06-C03 For TCL L42F19. T420HW04 V0 Ctrl BD 42T06-C03. Board Number: T420HW04 V0 Ctrl BD 42T06-C03. 1 x T420HW04 V0 T-Con Board. Board Numbers: T420HW04 V0 CTRL BD, 42T06-C03. General Interest. Part Number: 55.42T06.C20. Substitute Part(s): 55.42T06.C19, 55.42T06.C09, 55.42T06.C15, 55.42T06.C14, 55.42T06.C13, 55.42T06.C12, 55.42T06.C16, 55.42T06.C17. Dynex DX-L42-10A. Flex ribbon cable 69.42T06.002 fit t-con board T420HW04 V0 42T06-C03 to panel. LG 42LF11-UA. LG 42LH30-UA. LG 42LH3000-ZA. Fit Panel 80Pins, 0.5mm space between each pin. Fit T-con board. 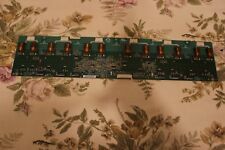 DINEX MODEL DX-L42-10A INVERTER BOARD # V291-001 , BUY IT NOW !! DYNEX INVERTER BOARD # V291-001 ,BUY IT NOW ! BOARD IS IN GREAT WORKING CONDITIONS, MONEY BACK IF NOT AS DESCRIBED!